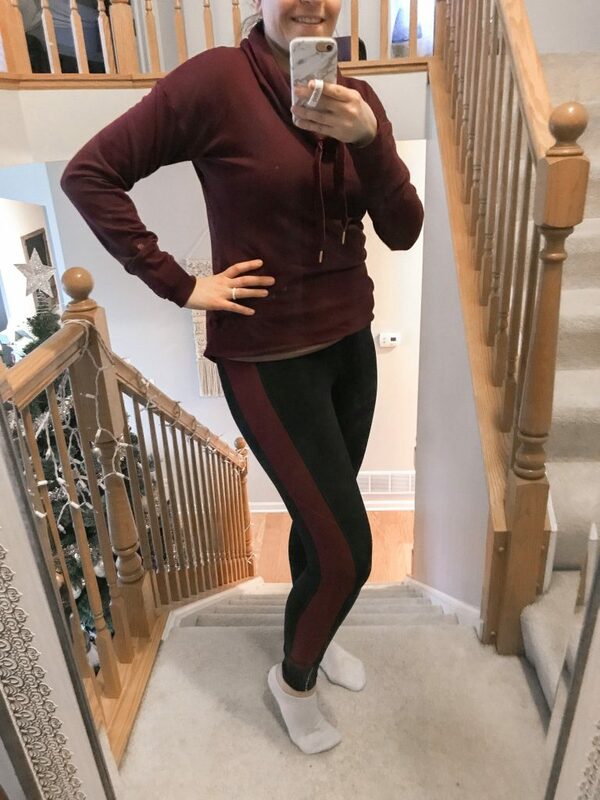 These Burgundy stripe leggings are extremely stretchy and flexible; they would be great for any high intensity workout or running. The ankles have a little reflective striping and can be rolled up if your shorter. I did the squat test in them and they passed. I was very impressed with the quality too! Definitely worth it for $40! This pullover looks like it zips, but I was actually able to put it over my head. It’s great to throw on when running and errands and I love the high neck that protects you from the wind! The marbled grey color is also pretty. 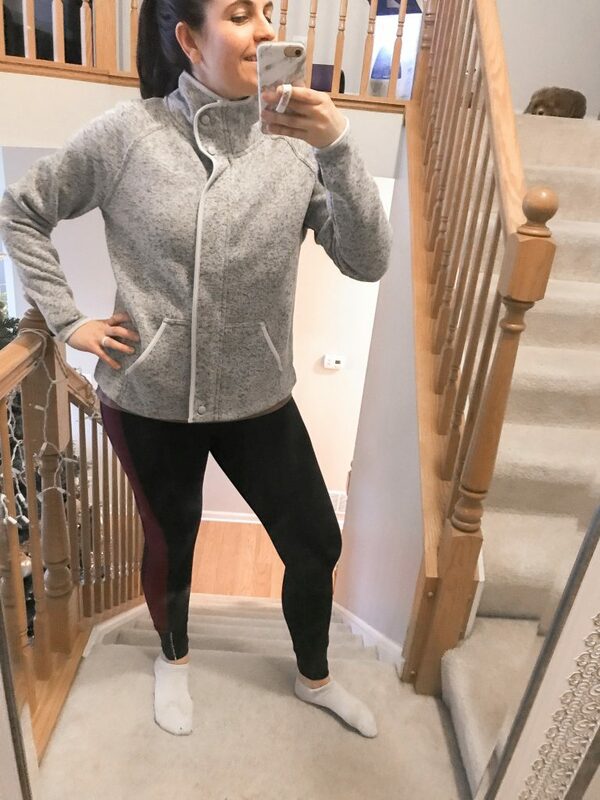 This outfit is my perfect workout outfit! Super cute, textured leggings that hold everything in place and they’re made out of thicket material that is perfect for colder weather. Top it with a soft and flattering pullover to make me look like I didn’t just roll out of bed. For under $23, this pullover is a steal! In case you want to be matchy matchy the burgundy pullover matches the burgundy striped leggings perfectly! Lately, I’ve been loving working out in t-shirts, but I don’t want something bulky and heavy, so I’m loving this lightweight strappy top. Plus I love a cute back detail on the back of this top (see my picture below!). This top is on sale for only $15 and it also comes in a pretty grey color. Look how cute the strappy back is! I was drawn to this top as soon as I saw it; a pretty olive green speckled with rose gold flecks all over it. It very loose, but still manages to be flattering. It could easily be tied to the side to keep it out of the way during a workout. It comes in a number of other colors if you don’t like this color. I paired it with these basic black crops that are only $20. Okay, so I may have gone overboard with the pullovers, but I couldn’t resist this one! It reminds me of something that would be available from Nike, but this pullover is only $26! The basic black leggings come in two different lengths and are only $20! I was also impressed with their quality and loved the fit. What are your favorite workout items? 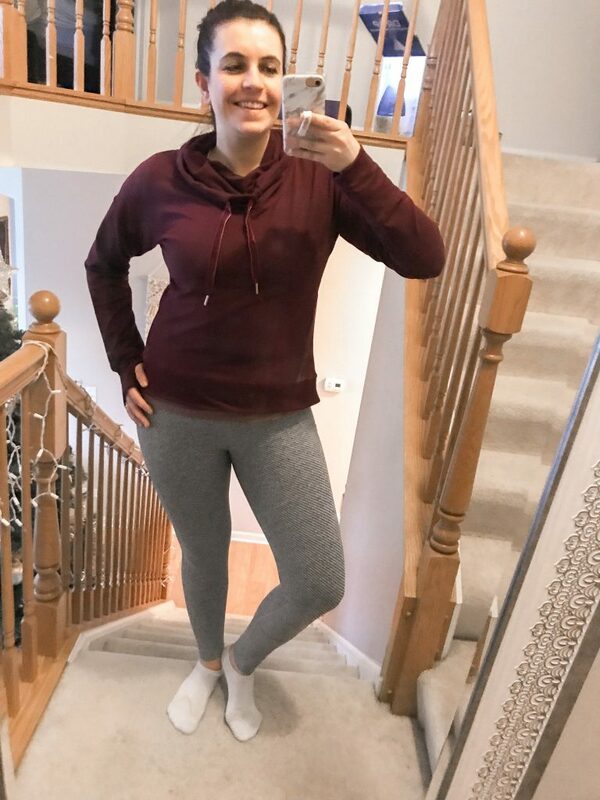 Have you ever shopped at Target for Active wear? Let me know what you think in the comments! Yes girl, I’m with you!! I am all about the strapy bra with a back showing shirt style! 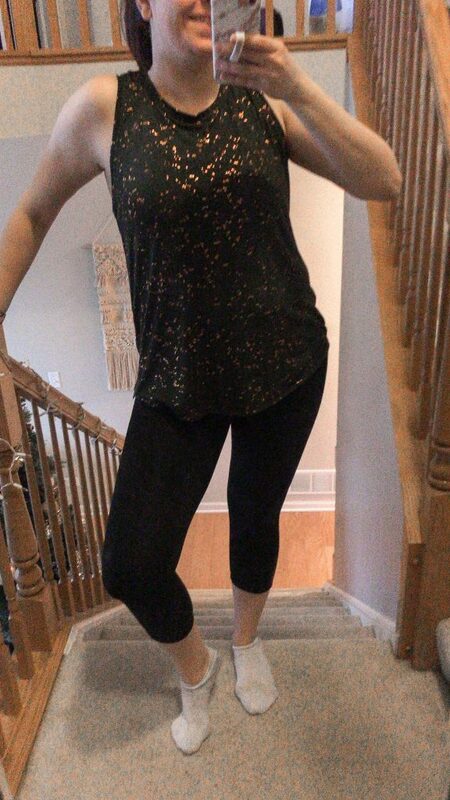 As someone who works out daily I am guaranteed to wear leggings daily! Yes, strappy bras add a little flair that I love too! Bummer it’s not in the UK, but thanks for stopping by! Target always has the best stuff. Unfortunately I now live almost an hour away from the closest target so I can hardly go but when i can i love it! That’s a bummer! But at least they have a lot of their products online! 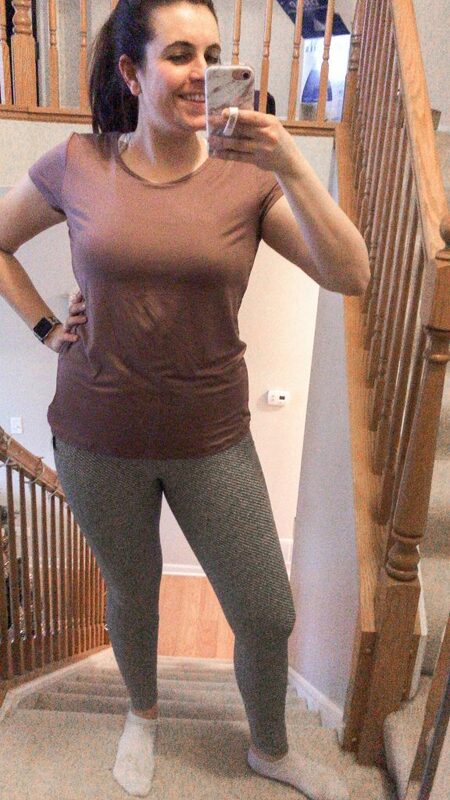 Target has some awesome active wear! Thanks for sharing your top picks with us!! Target is the best!!!! 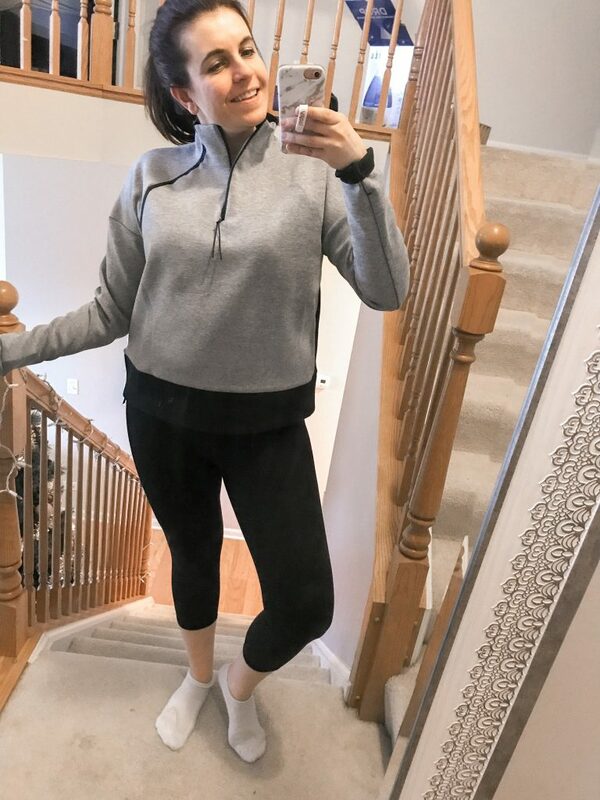 I’ve been eyeing the activewear so it was great to read your review! I definitely need to take a trip there this weekend and pick up a few things!! Cute styles! I definitely need to up my activewear game. This year I want to consistently work out on work days and having activewear I look forward to wearing makes a difference for me. Oh my wife would be absolutely all over this! I’ll send this her way! My wife is legit going to be in love with this post! I love everything from Target! I will have to get these two-tone crop leggings. So cute!